When people think of Rocky Mountain National Park, cactus is usually not the first thing that comes to mind. Visitors to Rocky think of soaring mountain peaks, snow, lakes and wildlife. While those certainly typify Rocky Mountain National Park each spring the lower elevations of Rocky play host to a string of wildflower blooms. One of the earlier blooms is that of the Mountain Ball Cactus. 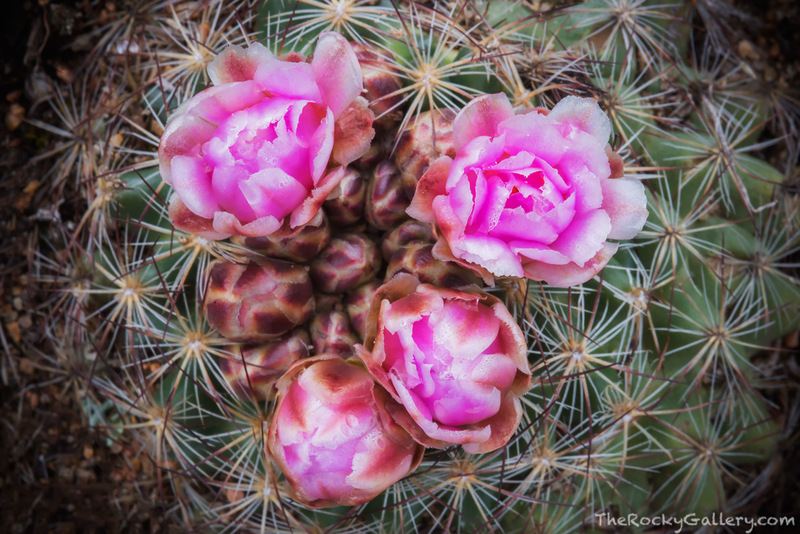 The Mountain Ball Cactus is a small but beautiful plant that typically grows on the south facing slopes and lower elevations of Rocky. The Mountain Ball is small and it would be easy to walk right on past its beautiful pink blooms like the one I found on this catus in Upper Beaver Meadows. Photo © copyright by Thomas Mangan.